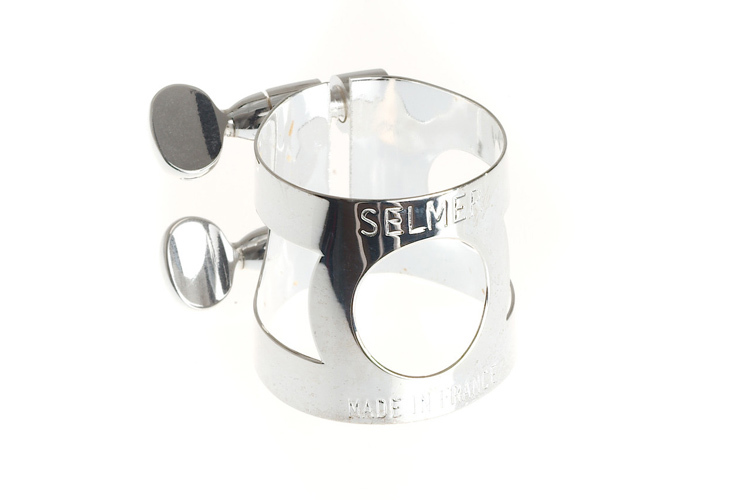 This 2 screw design ligature from Selmer offers the player a free blowing and responsive sound. The ligature fits most plastic and ebonite Bb clarinet mouthpieces. Silver plated finish. Featuring a 2 screw design and lightweight body, this ligature allows the reed and mouthpiece to resonate freely and really open up your sound to play with no restrictions. Has a simple to use 2 screw design. Silver plated for extra resonance and brightness. Has a lightweight body which ensures the reed and mouthpiece vibrate freely. Fits all Selmer Paris ebonite and plastic Bb clarinet mouthpieces. Fits most other standard size ebonite and plastic Bb clarinet mouthpieces. I like metal ligature as they project tone much better than leather ones and don't mute reed vibrations.